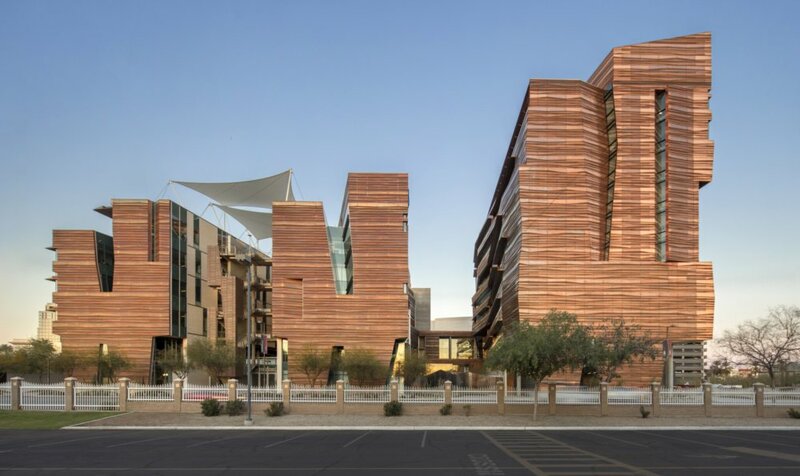 This Arizona medical school blends into the desert with a folded copper facade - Facades+, Premier Conference on High-Performance Building Enclosures. 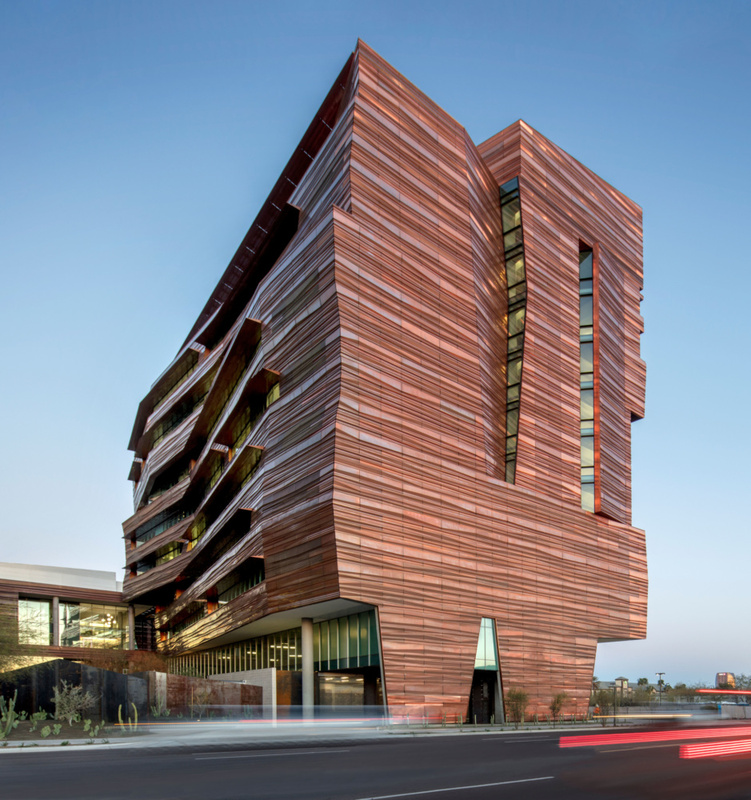 Located on the northern border of Downtown Phoenix, Arizona, sits a new medical research building for the University of Arizona. 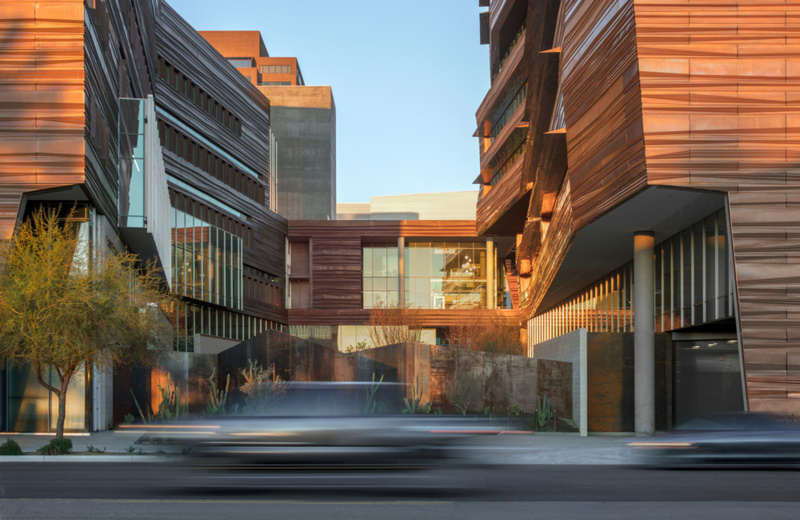 The 10-story Phoenix Biomedical Sciences Partnership Building (BSPB), designed by CO Architects, joins their preexisting structure on the Biomedical Campus to combine lecture halls, research facilities, and public functions. 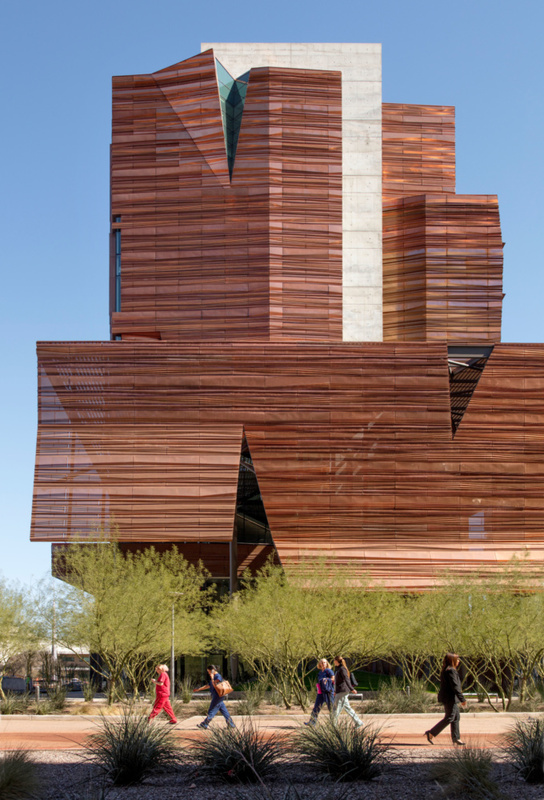 The design of the building’s facade is intended to blend into the Arizona desert landscape with folded and perforated copper panels. 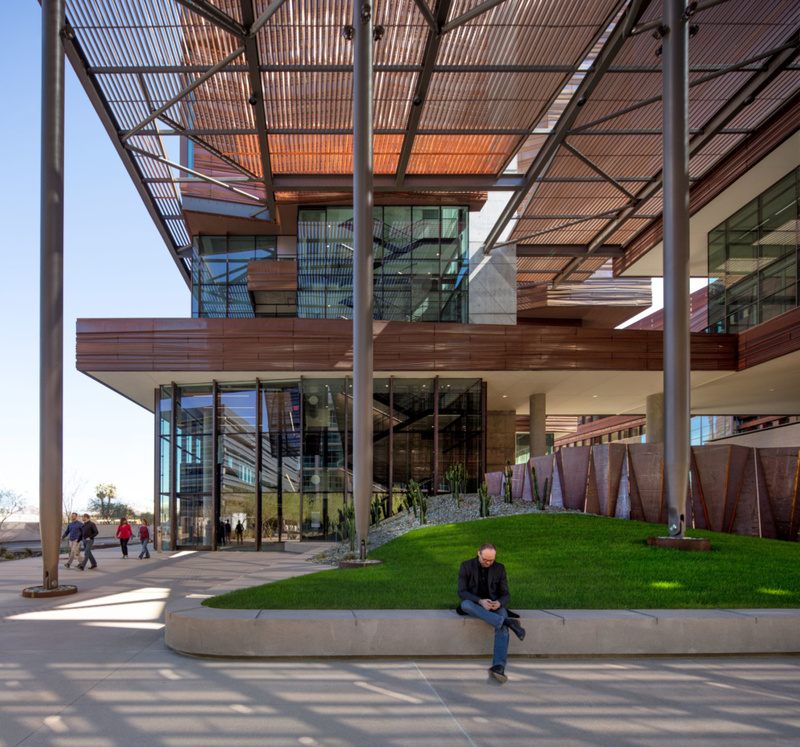 The building rises immediately adjacent to CO Architects’ Health Sciences Education Building, with the tightly packed nature of the campus serving as a passive shading device for both public and interior spaces. 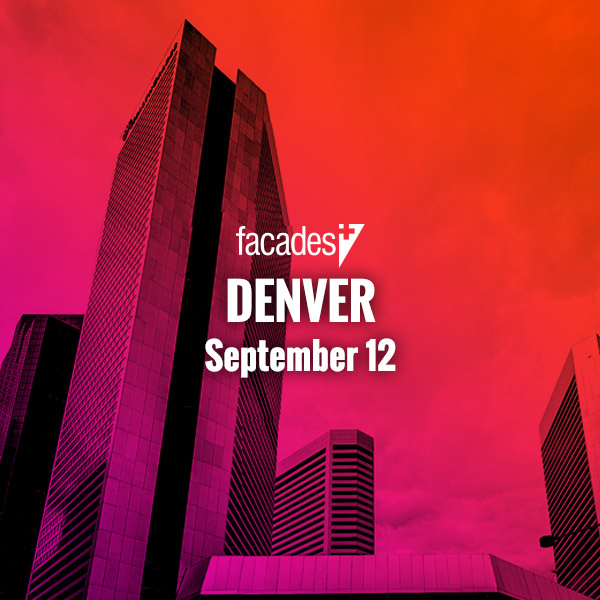 Additionally, the building runs along an east-west axis to reduce solar exposure during the morning and afternoon. 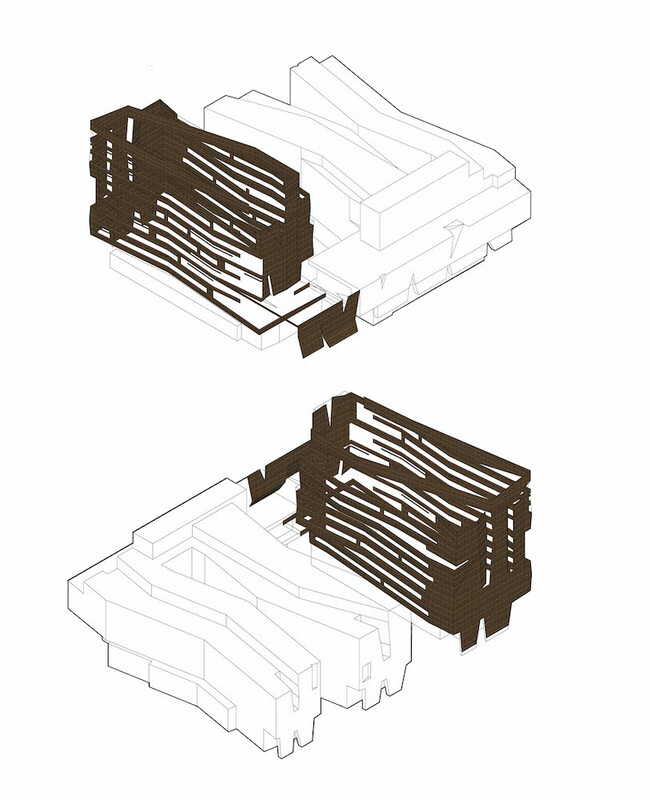 For the design of the building’s envelope, CO Architects analyzed and incorporated the natural features of the surrounding Sonoran Desert. 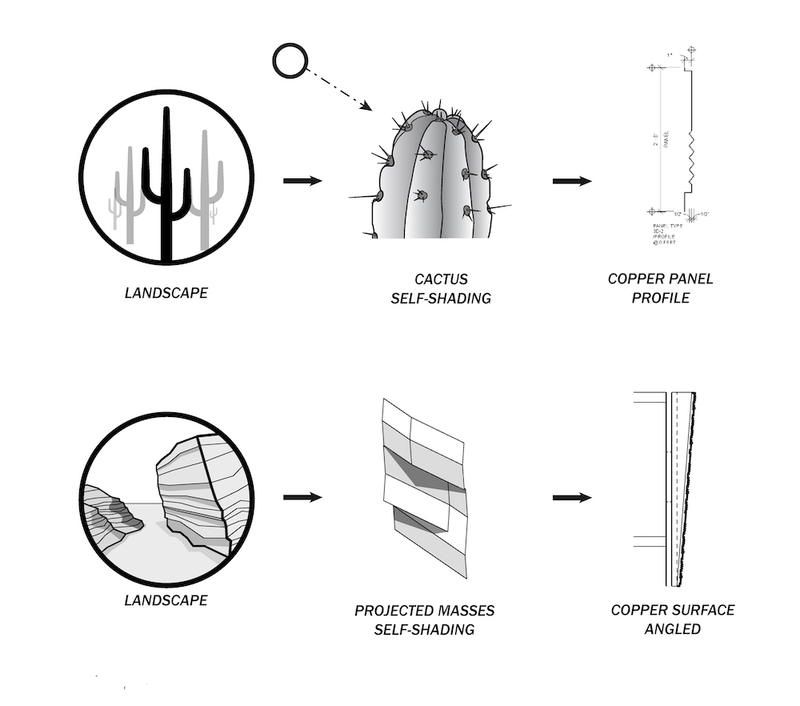 Specifically, folds within the copper panels are intended to reflect the physical traits of the Saguaro Cactus. 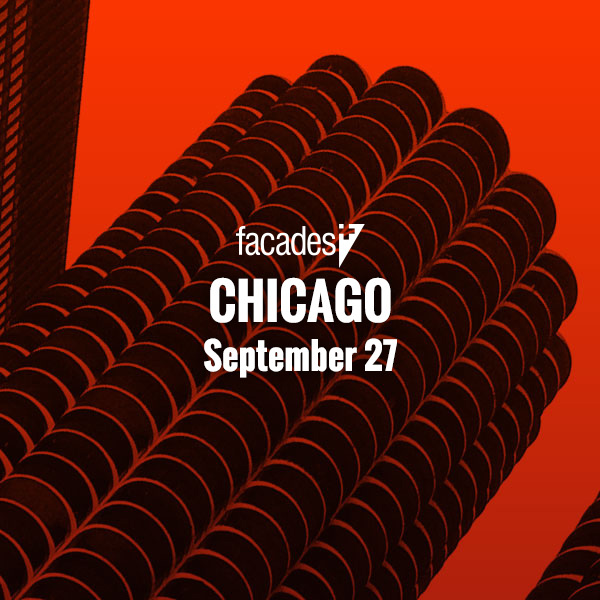 The skin of the cactus undulates as a means of self-shading so the successive floors of panels on the facade protrude to mimic geological striations while also shading bands of fenestration below. Notably, the copper skin is located two inches from the structure’s thermal barrier, effectively wicking away heat by serving as an enveloping chimney. 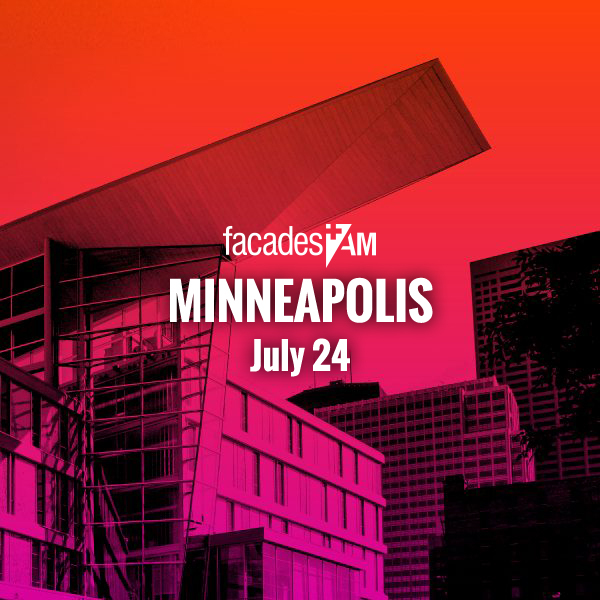 To this effect, the design team generated six groups of panel types—each is comprised of four modules of the same height and width. 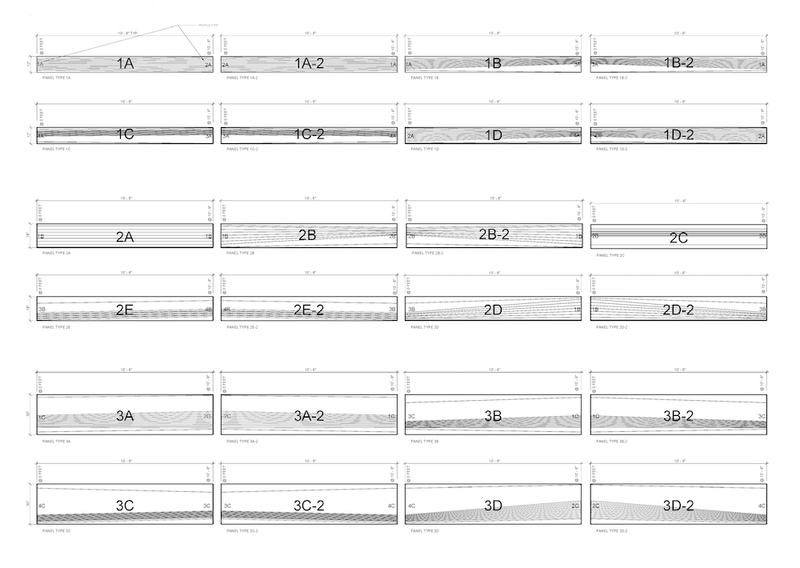 Modules within specific panel types were alternated to display a breadth of visual striations. Kovach Building Enclosures, based out of Arizona, manufactured and installed the facade panels. 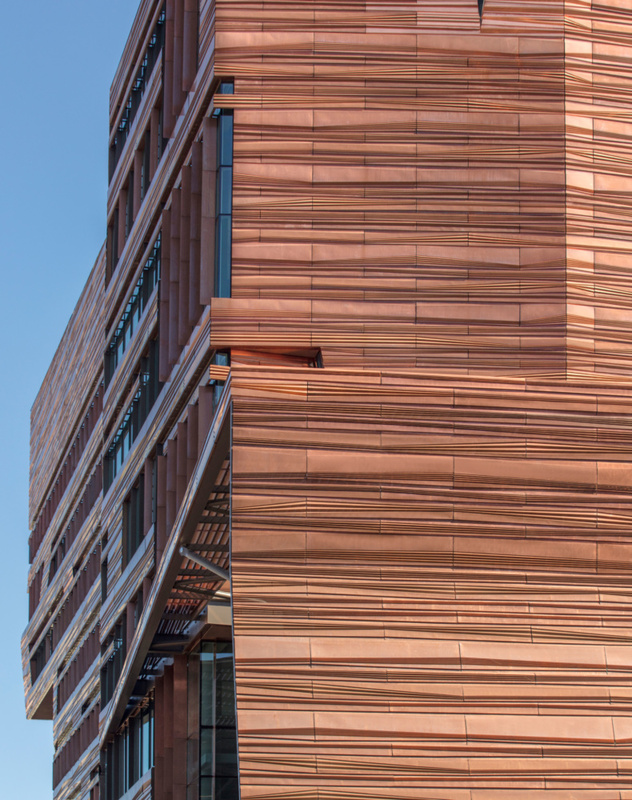 Remarkably, over 90 percent of the cladding was fabricated with recycled copper—ranging from multi-ton ingots to gauged coils. 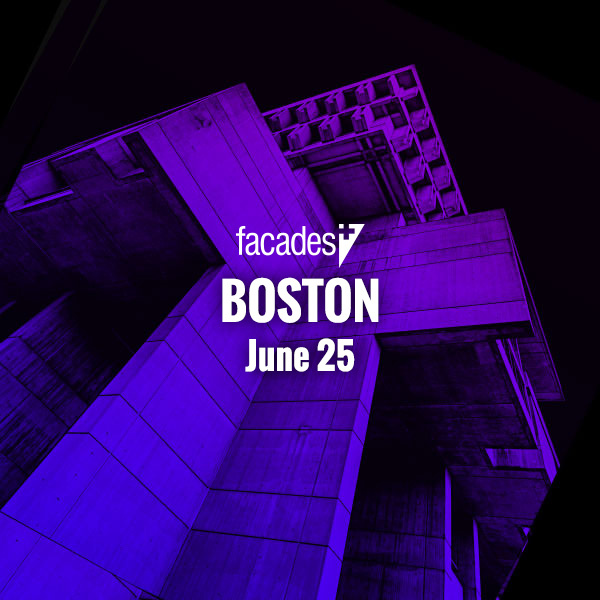 According to Swanborn, the manufacturer effectively “negotiated between what our dream was, and what was feasible.” To this effect, the design team utilized BIM software to generate 3-D models of the panels for Kovach to analyze. 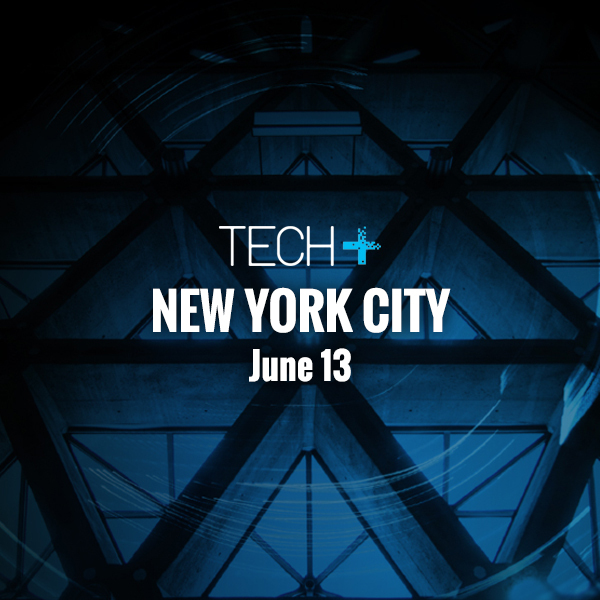 Over the course of the nine months, the manufacturer detailed each panel via a brake press, relying on a team of two to operate the machinery.